Product/service innovation is the result of bringing to life a radically new value or a new way to solve the customer's problem that benefit both the customer and the producer. 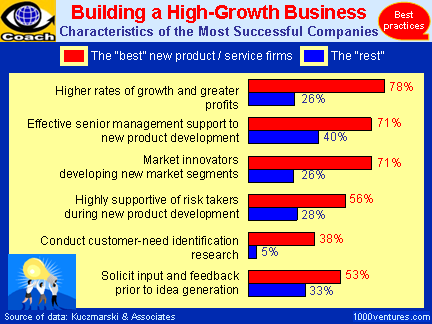 Synergized new product-and-service innovation is where the source of growth and prosperity is. Entrepreneurial simulation game Innovation Football (Innoball) will help you achieve far beyond your initial inspirations . 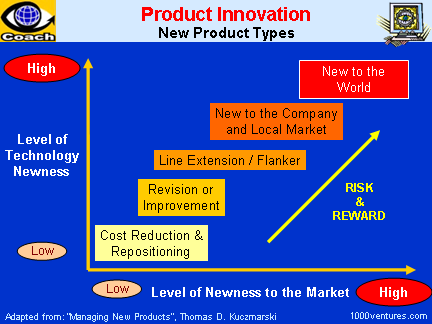 With the range of new product innovation metrics tools, you can measure new product innovation much more precisely and intelligently. You can't just ask customers what they want. By the time you get it built, they'll want something new. Company's → vision must be driven by the aspirations of its → customers.